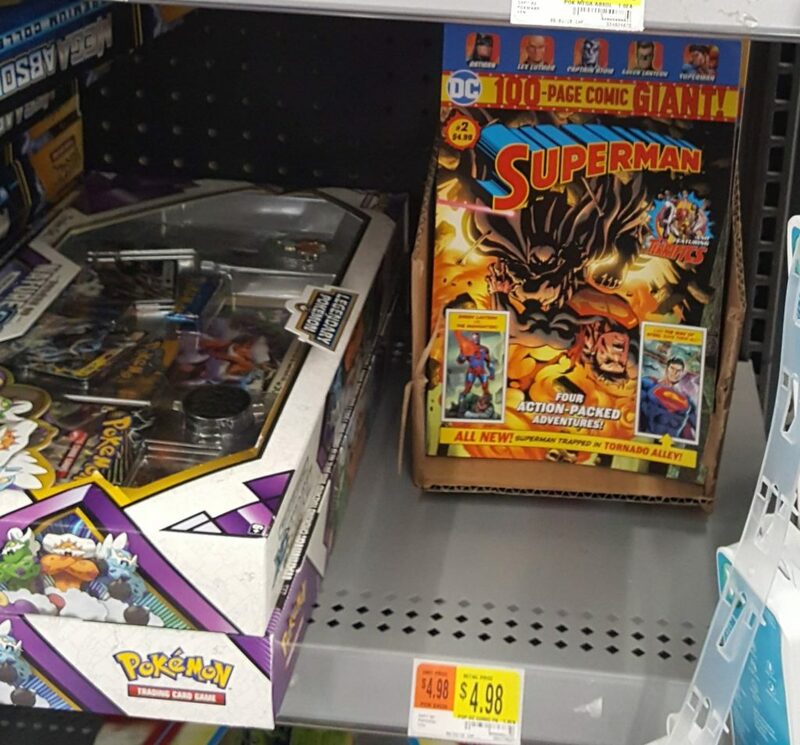 This week in “Previously On…” I share my experience trying to hunt down the new DC Giant comics exclusive to Walmart, and discuss whether they’re worth your time. There are approximately three places my wife likes to shop that instantly turn me into a bitter cliché of a man, desperately scratching towards escape from the confines of Dante’s circle of hell known as “shopping trip.” In no particular order these fiery pits of torture are known commonly as Home Depot, Bed Bath and Beyond, and Walmart. So you can imagine my wife’s surprise when I requested we go to Walmart together, under no duress and seemingly of sound (enough) mind. What prompted this enthusiastic sadomasochism? No less than the experimental, potentially controversial entrance of DC’s Walmart exclusive comics, and the release of Tom King and Andy Kubert’s first part of a 12 part Superman story in Superman Giant #3. The actual 100 page giants are almost comically hard to find, at least within my local Walmart. I first looked around the “Books” section of the store, only to find absolutely nothing. 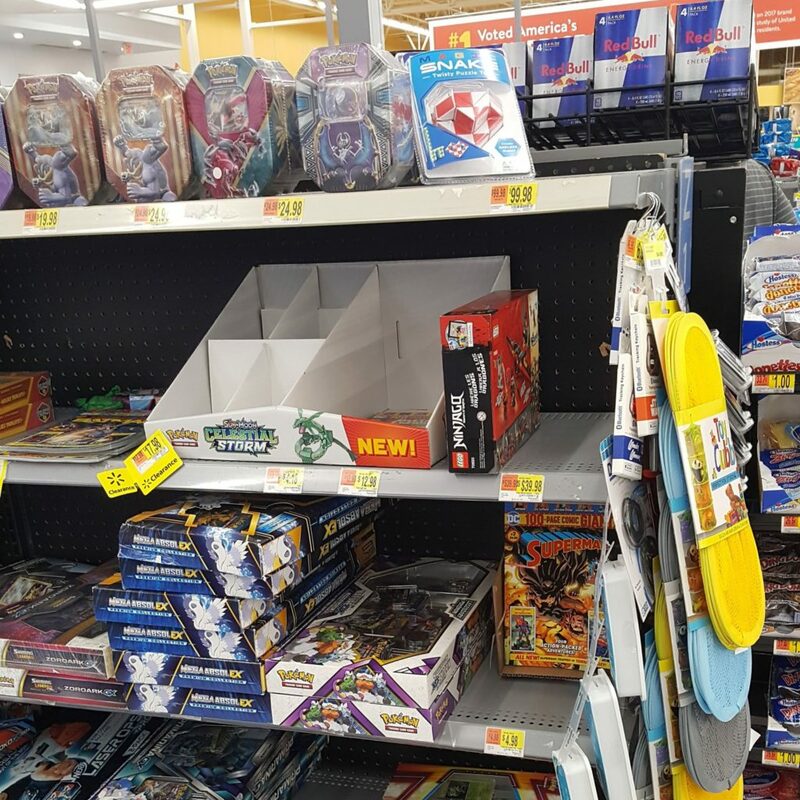 After some research (and the discovery that Todd Allen of the Comics Beat has been thoroughly covering these particular issues), I was informed the books might be near checkout in the “Magic the Gathering / Pokemon / Baseball” card section of the store I didn’t know existed. 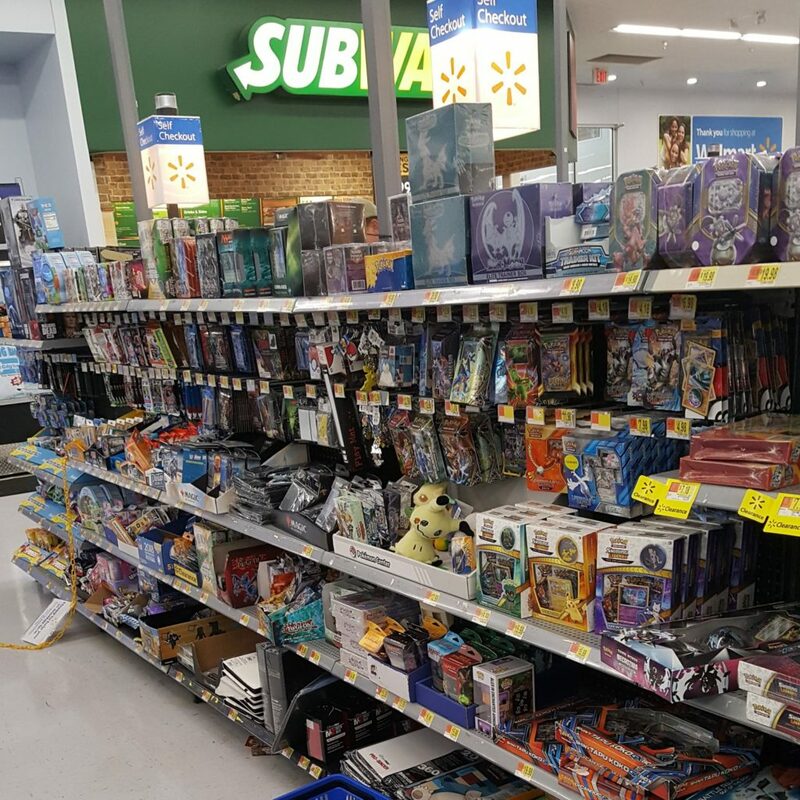 So, once I found Walmart’s token “nerd” aisle, I was tentatively excited but failed to see any comics. Several slow scans of the section revealed nothing, so I perused the entire length of checkout aisles to see if there was more than one of these aisles (there was not). It was only upon my final return to the aisle just to do one final desperate check that I was amazed to actually find the comics. Oh, how could I have missed Superman! While I found no copies of the newly released Superman Giant #3, I did grab copies of Superman Giant #2, and Batman Giant #1 and #2. While I was relatively unimpressed with the new content written by Jimmy Palmiotti in Batman Giant #1, if I was between the ages of 11 and 20 and experiencing these comics for the first time, these 100 page giants would absolutely be my gateway into comics. 100 pages for $4.95 is a whole lot of comics, and re-reading the first issue of Hush was actually a lot of fun for me, and likely a lifelong love of Batman comics for a new reader. There are a ton of ads within the pages for DC graphic novels, which is a sound idea. If I worked for Wal-Mart, though, I’d be way more insistent on offering some specific sales point! The DC ads merely say “Find these graphic novels wherever comics are sold!” Which almost makes it sound like even they don’t know where to find comics. Right under that, I’d put a short-link to a targeted Wal-Mart landing page, with maybe a 5 to 10% discount. Otherwise, what’s to keep interested parties from just going to Amazon and searching for the material? In reality, it doesn’t make much financial or practical sense for ongoing comics readers to pick up a 100 page giant for 12 pages of new story. So unless you’re a lunatic like me, or just absolutely obsessed with Tom King comics (see this list if you’d like to join the club), or enamored with the potential of Brian Michael Bendis and Nick Derington Batman story (raises hand, again), I wouldn’t worry to much about adding Walmart stops to your Wednesday comics trips. I can see why comic shop owners would be angry about this move by DC, too. If my LCS had a new King written Supes mini, or Bendis and Derington on Batman, those would absolutely be pull list adds sight unseen. DC is leaving money on the table in that regard, which means local shops are feeling the hit by omission. Nonetheless, more broadly, I quite like the idea of actual comics in more mainstream outlets, even ones as tucked away as these giants are (For the time being). Plus, as nonsensical as it is, the exclusivity of the hunt for the first part of this Tom King story has been on my mind since I couldn’t find the issue this weekend. Hey, I might even see about a return trip to Walmart this upcoming weekend, and I swear, I barely recognize myself saying that. I guess I’ll need to hunt these down too. I’ve read everything else from Tom King (thanks to your reading order) besides the most recent Batman, Mister Miracle, and volumes 2-5 of Grayson. He is truly the BEST.